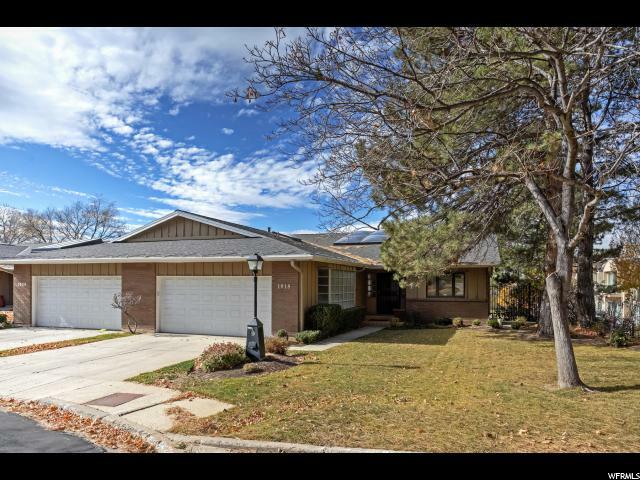 All OAK HILLS homes currently listed for sale in Salt Lake City as of 04/25/2019 are shown below. You can change the search criteria at any time by pressing the 'Change Search' button below. "Introducing the best unit in the entire Oak Hills Gardens community. Once the model for the entire development, this unit sits quietly in the corner of the development and is adjacent to both Donner Park and Bonneville Golf Course. A truly rare opportunity to live easy with a main level master suite on the highly sought after Bonneville Golf Course. Light, bright and open living space with beautiful small atrium in the center to bring the outdoor light and beauty of nature inside. The golf course, valley and mountain views are exceptional and the mature trees add just enough privacy and shade for comfortable, luxury living. The large master bedroom features an ample sitting area, walk in closet and master bath with separate tub and shower. Walk out lower level with outdoor patio. Excellent storage or flexible space for game room, small media room or 5th bedroom and bath. Two car attached garage. The University of Utah, Foothill Village shopping, restaurants, and This is the Place are a five minute drive away. Hike, bike or drive the Bonneville shoreline trail to Red Butte Gardens and the Natural History Museum. All the conveniences of a condo with all the benefits of a home. HOA fee includes snow removal, landscaping, cable, water/sewer and exterior building maintenance."